Very romantic. Felt like watching part of the movie It Could Happen To You. Thank you both very much for your kind words. I enjoy reading your respective poems, so it is with great respect that I regard your comments. Wow! I love this. very sentimental, endearing. man, I hope you meet up with Charlotte again. I hope so too. The shells weigh heavy upon my heart. Something about this poem makes it more than about "shells".. it's the intent of care that moves me.. I hope you do too, wonderful verse. What a lovely story that you share. I have the base of a terra cotta planter filled with grains of sand from various seas and various journeys, there are coins and ephemera hidden underneath the surface, and as always, there are Charlotte's shells. I enjoy the poem that is featured on Bar None Group today. You are a poet that writes from the soul. Thanks Pat. There is a part of me that wants to send her this link. i agree with lynne..the shells are just the visible...there's so much care and love and tenderness in collecting these shells..enjoyed it mark..
Are there any shells in Brighton, Claudia? 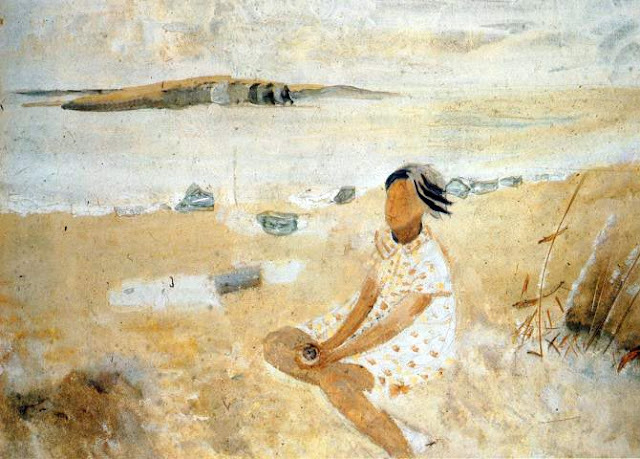 Lots of symbolism here--a washed and windblown painting that yet gives a strong sense of place and person, and a brief set of phrases that yet give a sense of connection. Each shell once held a living creature; somehow life connects to life, even without resolution. Hedgewitch, I want you to review all my poems! You found and saw a depth to Charlotte's Shells that I wasn't certain could be found. Yes...you must see her, so she knows how you've cherished those shells. A wonderful share! Natasha, thank you for your encouragement as I respect and admire the work that you do with The River. A visit to the Orange Tree will give rise to poetic fruit.